3 Ton – Car Licence OK! Looking to Rent a Truck For Moving House? At Mobile Truck Rental we understand moving can be stressful and most people have time constraints, so to make you’re moving a little easier our rent a truck is delivered to your door. 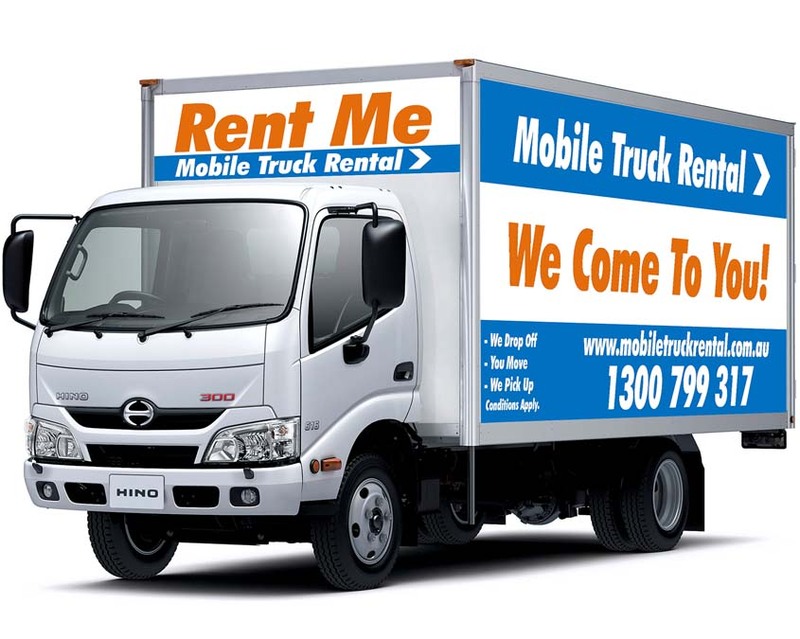 For a cheap price for a Long Term rent a Truck call Mobile Truck Rental. When you’re finished moving we then arrange to pick the rent a truck up again either at your old house or your new one. This leaves you more time to enjoy your move, instead of having to worry about returning your rental van. With Mobile Truck Rental you can also rent a truck one way. You can move from point A to point B and never have to visit a rental site. This saves you time, the cost of travel & excess kilometres. So if you have decided to move house yourself but you still want a trouble free move call us now on 1300 799 317 we can help. Our vehicles are all the latest model meaning they are reliable, all come with free trolley and rope, all have rear tailgate lifters and are automatic. So for the best rent a truck company around, contact Mobile Truck rental.